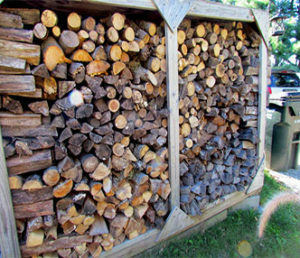 Best Burn Firewood provides clean kiln-dried Wisconsin firewood for all your heating needs. We grew up with wood heat, and know the benefits of it. Our Wisconsin Black Locust Firewood is one of our top choices foe heat. Finding many pitfalls with traditional firewood suppliers, we created our own cleaner way to get the wood we wanted. This discovery was something we wanted to share. We decided to pass on our joy and knowledge to you, and that developed into the company we run today. Choosing what kind of wood to burn can be tricky. We have researched and learned through trial and error which ones will work best for a long cold winter. One of the better choices for great heat is black locust firewood. 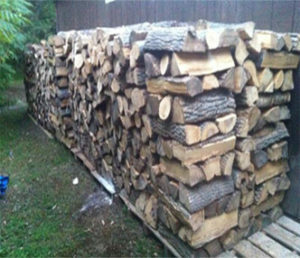 Wisconsin Black locust firewood is one of the best woods you can burn to heat your home. It will heat your home better than most other firewoods. Although black locust doesn't burn as long as oak or produce as nice of a smell, black locust firewood keep your house warm and cozy due to the amount of heat it gives off (about 30 million BTU's per cord). Black locust also produces a nice bed of hot coals after it has been thoroughly burned that create long lasting extra heat, these coals then burn down to a small pile of ash resulting in a clean stove after the wood has been consumed. It burns very hot, and can be mixed with other types of wood to keep from overheating your stove. The radiant heat from the coals will last as well, keeping you warmer longer and not having to worry about constantly adding more firewood to the fire! Kiln-Dried Firewood- Treating the local Wisconsin firewood in this manner brings down the moisture levels to a mere 15%. Because of this process, you’ll always know your wood is ready to burn and will light. Clean Burning- The kiln-drying process produces a wood that contains fewer creosote chemicals. This means no clogs or harm to your chimney, and the smoke produced is friendlier to the environment than other woods. Fast Delivery- We know how cold the Wisconsin winters are! Getting firewood to you the day you call is our goal. When extenuating circumstances arise, your delivery will be no later than the following business day. Many people feel that burning wood is just not that advantageous. They see their friends and neighbors paying great amounts of money for firewood, only to see half of it left in the driveway because of the dirt and debris that comes with it. 100% American Energy – 100% Wisconsin Energy- All of our wood comes from local sources. Every last speck is 100% American. You’ll feel good knowing you’re supporting your community and your country. Lower Utility Costs– According to the Research Institute of Sustainable Energy, heating with firewood is the most cost-effective way to heat your home. It is four times more than oil, five times more than gas, and six times more economical than electricity. There’s no better way to bring all the good things home at once. And when using woods like our Wisconsin black locust firewood, it can be even more cost effective. Its slow-burning, high-heating ability only makes it more attractive. So be proud to be an American and make the world a cleaner place to live at the same time. Heating with wood is good. Heating with Best Burn Firewood is better. Our products are local, and so are we. We make them better, to serve you better. That’s our goal and our promise.